A collection point for general notes from our experiences with weaners and breeding plus some useful pig information that I’ve come across so far. 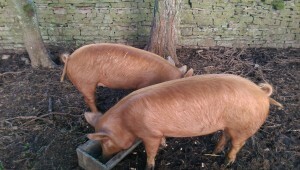 The first set of weaners (2013) were a pair of Tamworth gilts and they proved to be a great introduction. This was despite reading some comments on the web about Tamworths being “escape artists” and we had no such problems. There is a handy summary of our first experiences with raising weaners on the blog. The second lot of weaners (2014) were 3 Oxford Sandy and Black boys as a deliberate attempt to establish a contrast to the first lot. They were slightly more boisterous and the large number obviously meant more feed but again we had no problems and the resulting meat was not noticeably different. Taking everything we’d learned into account, the decision was made to try pedigree breeding so another batch of 4 Tamworth gilts arrived in 2015. Of that 4 just 2 were kept for breeding purposes and 2 were fattened up through the summer. It didn’t take long to get the hang of artificial insemination and we now regularly have pedigree Tamworth weaners for sale, most often in the spring. After trying with feed on the ground (not good when it’s wet) and using a spare plastic floor trough (fine but when empty they threw it around! ), eventually there is now a 4 ft galvanised trough. 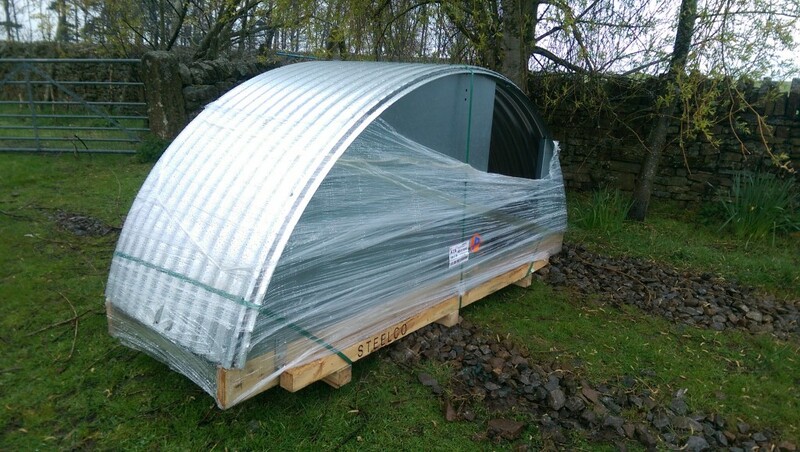 This is a purpose-built IAE pig feed trough and looks to be solid enough to last for years. even this gets pushed around a little but it’s built to take the beating. There are also a number of plastic troughs in use and they seem to last very well but only time will tell on that. We keep one batch of 3 on two pens of 30ft x 40ft. They are there for 6 months, April to October, then the land left until the following spring. We swap them between the pens but both are pretty trashed by the end – one has a covering of grass now, the other is just mud. The hut is maybe 8ft x4 ft and works fine – they sleep in a heap or outside if it’s really warm. I wouldn’t like to keep them on less ground. 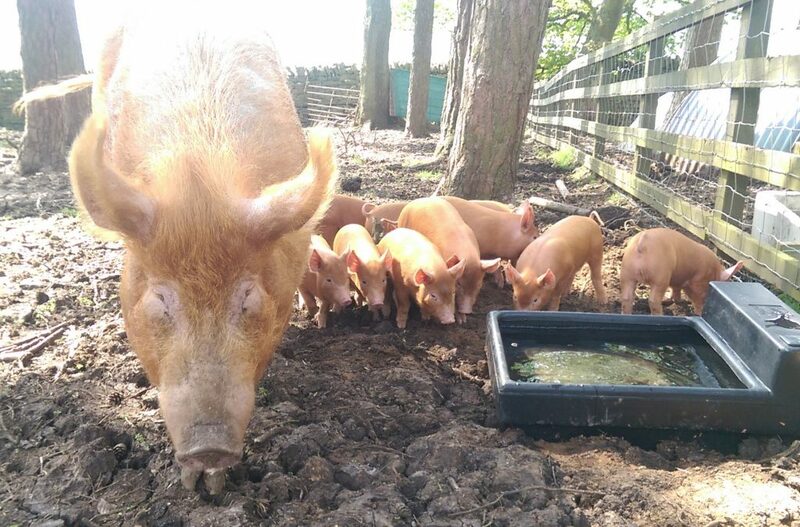 via how much space to pigs need – The Accidental Smallholder. Organic standards require a minimum of a thirtieth of an acre for raising two weaners, or an area of about 60ft x 60ft (18.3m x 18.3m). via Keeping pigs – introduction | Farm In My Pocket | Farm In My Pocket. Allowing for the damage caused, in a 1 acre field you could easily get 20 pens so with regular batches of 3 weaners, each pen might be used for 2-3 months at most? Pigs fit into organic rotations well because they add fertility at the end of a grass ley. To prevent the build up of parasites it is recommended that once pigs have been on a piece of ground, they do not return to it for four years.